Cora Refining Corp. serves the dental industry by refining dental scrap. They serve clients all over the country, with their offices based in New Hyde Park. Dental labs and dentists will request containers, fill them with dental scrap, send them to Cora, and receive cash in return. 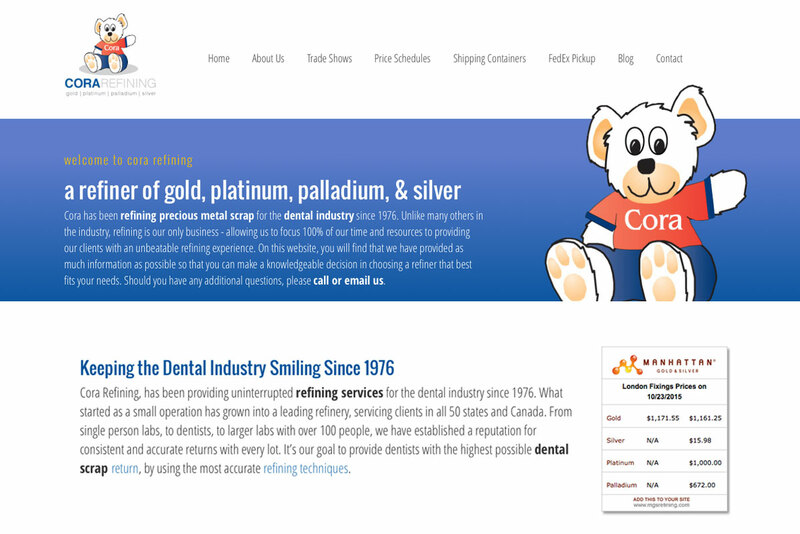 Cora Refining’s existing website was out of date and needed to be revamped. 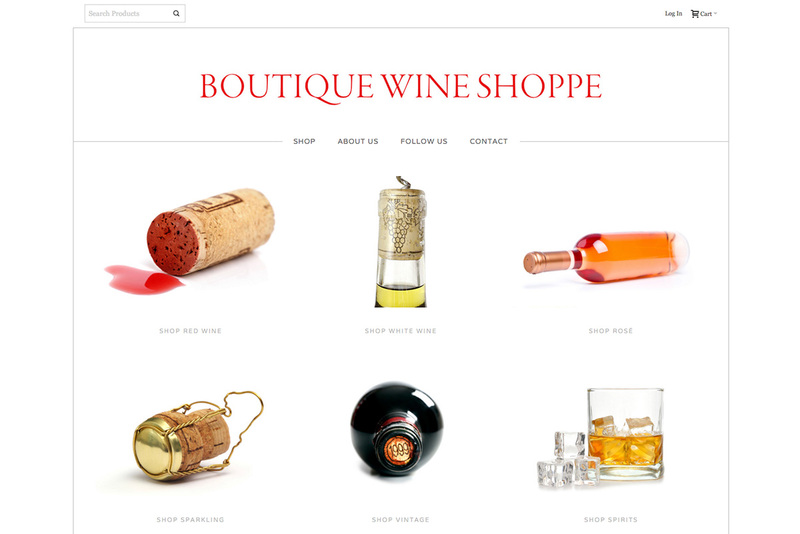 They were not able to do any sort of transaction on their site, which limited their reach to possible clients. With so much business taking place on the internet, it was important for Cora to not only have a good web presence, but also for them to be able to provide immediate services to their clients. We created a modern design around their existing logo, which was important to keep for branding purposes. 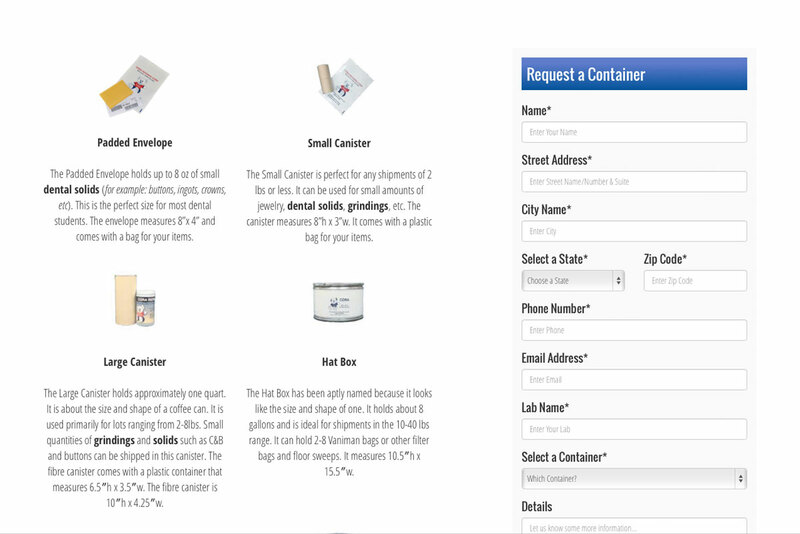 The site was custom developed so that clients could request containers and schedule FedEx pickups directly on the site. Also, in order to best serve our client we created a content management system (CMS) so they can easily update and edit information. 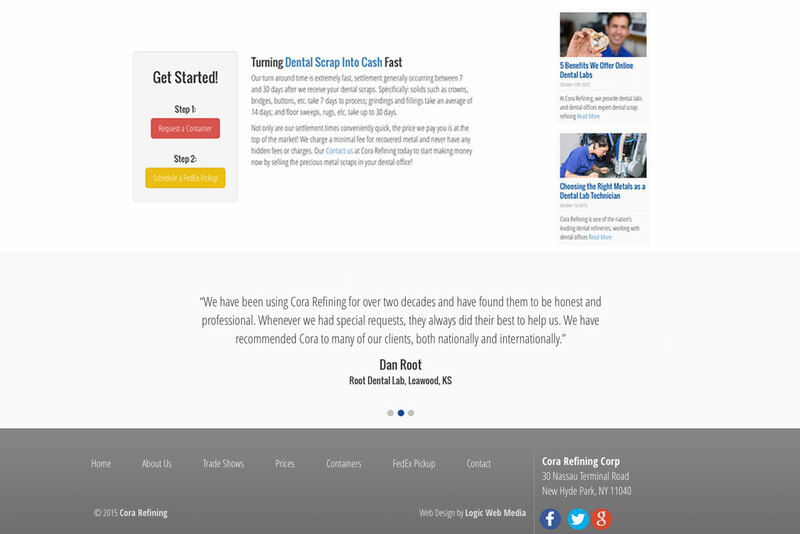 Cora Refining is also taking advantage of our Search Engine Optimization services. We worked together to target keywords, boost search engine rankings and implement SEO friendly techniques. 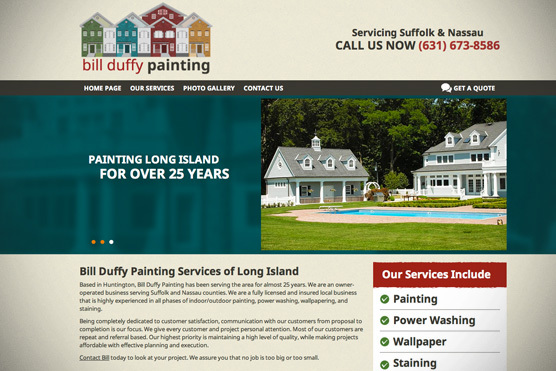 They are now ranking on the first page of Google for their target keywords and are seeing a 40% increase in visitor traffic. 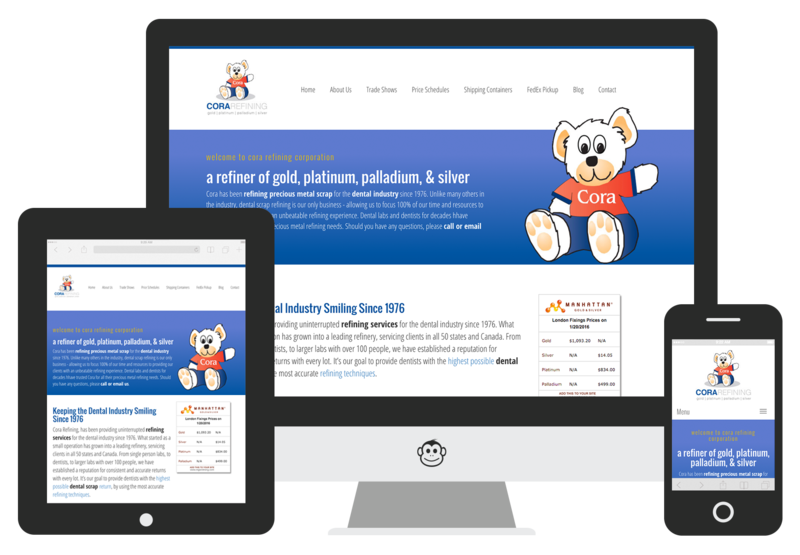 Part of Cora Refining’s site re-design included a new mobile friendly feature. 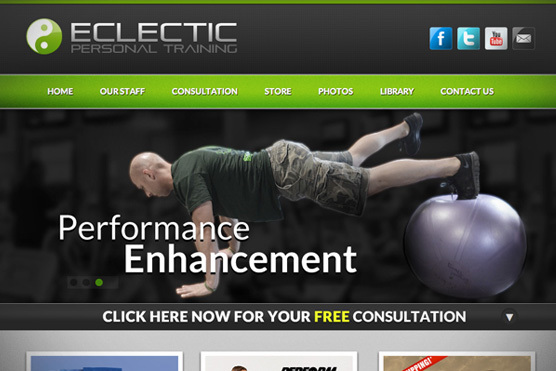 Implementing a mobile friendly user experience, allows them to capture all users who land on their new site.  The request forms are easy to navigate through from any smart phone, tablet or mobile device.